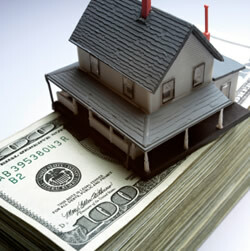 Are you thinking of dipping your toes into the Indianapolis, IN real estate market and not sure what the future holds? Depending on which headlines you read the market is up or down and some of the reports can be down right confusing. To help sort out the confusion, Freddie Mac has issued its monthly outlook for July, with a focus on what has driven down mortgage rates. It also showed how this is expected to drive home prices in the next year. Mortgage rates in Indianapolis, IN have continued to slowly go down, Freddie Mac believes that the international concerns from the slowing growth in China and the U.K.’s Brexit vote have played a major role in driving mortgages lower. Freddie Mac’s most recent Primary Mortgage Market Survey showed that the average 30-year fixed-rate mortgage fell to a rate of 3.41%. This is nearly an all-time low. This low rate should boost housing activity, particularly refinancing activity. According to MSN Real Estate, Freddie Mac’s latest economic and housing price outlook is still calling for growth in both the economy and housing. The forecast calls for growth to rebound in the second half of 2016, with gross domestic product (GDP) rising 1.9% in 2016 and then rising 2.2% in 2017. Most interesting for would-be Indianapolis, IN home-buyers is where the mortgage rates are expected to hit in the second half of 2016 and in 2017. The 30-year fixed-rate mortgage forecast has been revised down for both 2016 (by 30 basis points) and 2017 (by 50 basis points) to 3.6 percent and 4.0 percent, respectively. Prospective Indianapolis, IN home-sellers will be interested to hear the home appreciation forecast which for 2016 remains at 5.0 percent, and in 2017, 4.0 percent. All around, the market is in good shape and is expected to continue so for the next year. As Indianapolis, IN real estate agents we are well versed in our local market and ready to help both sellers and buyers. Please contact an Indianapolis, IN real estate agent when you are ready to start the buying or selling process. We look forward to hearing from you!